Significantly reduces the risk of mildew occurring in spaces such as wardrobes, cupboards and drawers. Fragranced dehumidifier. Reduces risk of mildew and fungus. 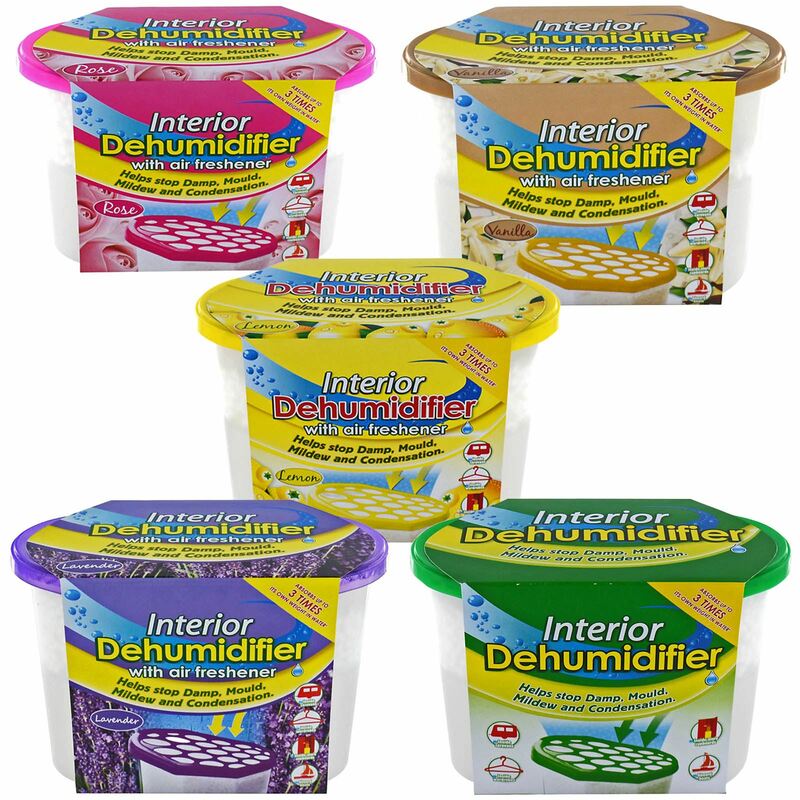 1 x Interior dehumidifiers. 5 x Interior dehumidifiers. This Dehumidifier is small but it is MIGHTY I had reservations when I first bought it, but oh my gosh it works my clothes in my wardrobe no longer smell of damp or mildew they now smell lovely like I've just washed them, I would definitely recommend them to everyone. Dehumidifier damp trap, great for the car, we put one in the door pocket, reduces steaming up in the morning.